Offering an opinion can be difficult when it is not in your first language. 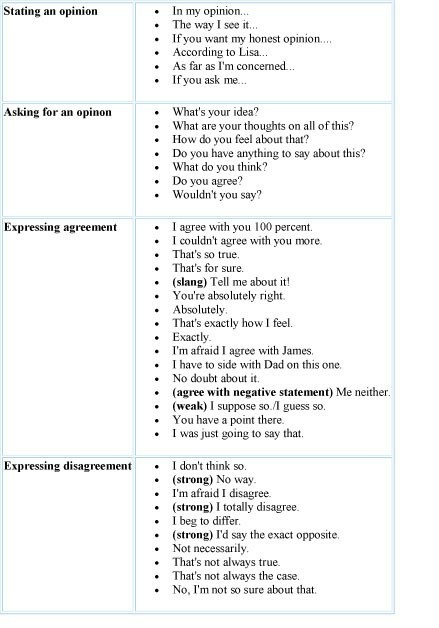 You may know exactly what you want to say in your native tongue, but are unsure of how to express your views in English. Although it is easier to sit back and say nothing at all , you will become bored or frustrated if all you can do is nod your head yes or shake your head no, especially if you have a strong opinion about something.